Pocket Books/Star Trek, 9781476792750, 400pp. 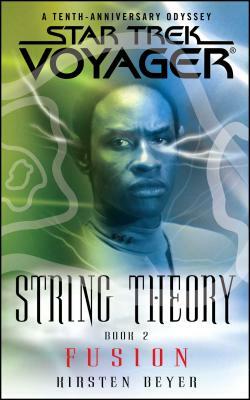 Voyager pursues Tuvok to a long-dormant space station, a place of astonishing grandeur and wonder. Ancient almost beyond imagining, the city seduces the crew with the promise that their greatest aspirations might be realized. Such promise requires sacrifice, however, and the price of fulfilling them will be high for Voyager. Unseen sentries, alarmed by Voyager's meddling in the Monoharan system, send emissaries to ascertain Janeway's intentions. Unbeknownst to the captain, she is being tested and must persuade her evaluators that their contention -- that Voyager poses a threat to the delicate web of cosmic ecology -- is baseless. And failure to vindicate her choices will bring certain retribution to her crew.